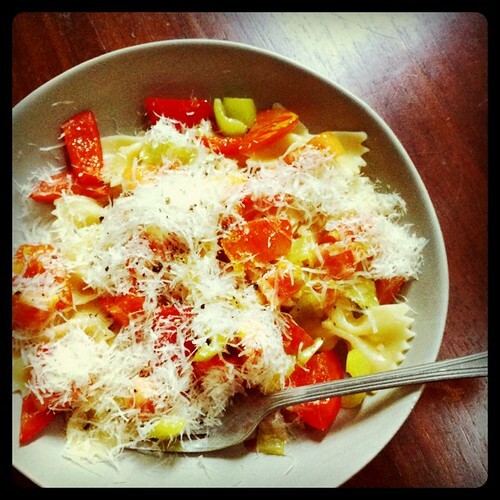 In honour of the upcoming Olio Festival: Farfalle aglio olio e peperoncino (e also onion, red pepper, tomato and Parmesan cheese!) Jay fed me all weekend. Thanks Jay!